This family of balls - if you can call them that - is one of several non-spherical forms in which you'll find bouncy balls. 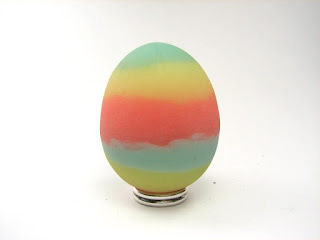 These egg shaped oblong objects are made with the same rubbers and production methods as other Hypersphaera, although these - unlike most - are not cast in molds with two halves. They are primarily uniform in texture and are either brightly colored in solids or banded with color in the manner of a hand-dipped Easter Egg. 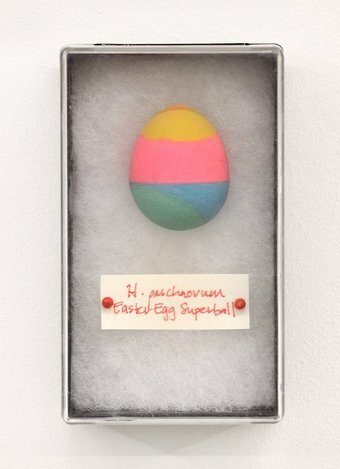 A specimen box form the series, Requiem for the Super Ball©.